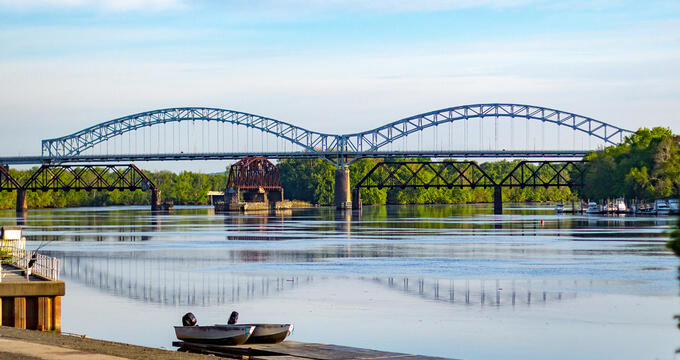 Situated along the Connecticut River, the town of Middletown, Connecticut is located approximately fifteen miles from the city of Hartford and boasts numerous things for visitors to do who want to escape from the larger, bustling city. Home to one of the top liberal arts colleges in the United States, Wesleyan University, Middletown offers many attractions, including several cultural and historic attractions, along with state parks, scenic ranches, zipline adventures, and many other outdoor activities. The town is also home to museums, the arts, and great restaurants. The Kidcity Children’s Museum is made up of three floors offering all manner of imaginative play for children between the ages of one and seven, along with their families. Every exhibit at the museum is unique and handmade, created by Kidcity’s in-house artists who are passionate about inspiring playfulness in people of all ages. Exhibits include the Fishery, in which children can use pulley baskets and conveyors to bring in that day’s catch; the Middleshire, a tiny medieval village where children can construct a castle; and the Space Age Roadtrip, during which friendly aliens travel along Route 66. 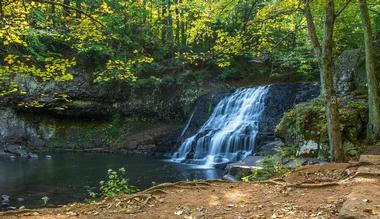 The Wadsworth Falls State Park provides visitors with various trails for biking and hiking throughout the park, as well as a chance to enjoy a beautiful waterfall. Guests in the state park can also use the picnic area and the designated area for swimming. Visitors wanting to swim or have a picnic in Wadsworth Falls State Park should keep in mind that picnicking and swimming is not allowed around the Big Falls, as the area is meant for only short visits of people viewing the scenic waterfall. The falls can viewed by taking the path from the parking lot on Cherry Hill Road. Wesleyan University in Middletown, Connecticut was established back in the year 1831 and is an energetic and diverse community for the liberal arts, a place where practical idealism and critical thinking go together. The 316-acre historic and beautiful New England campus provides a comfortable, collaborative, and intimate environment for learning that is supported by unique opportunities for research, cutting-edge facilities, and renowned faculty. Wesleyan University is a two-hour scenic drive from both the cities of Boston and New York City, nestled within the heart of the state of Connecticut and open for visitors to come and explore. The Empower Leadership Sports and Adventure Center is the only fully-guided zipline tours in southern New England. 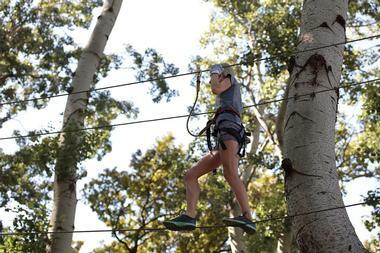 The adventure center has a number of thrilling outdoor adventures that visitors can choose from, such as scavenger hunts, compass, navigation, more than half a mile of ziplining, aerial adventures, combination adventures, and tree climbing. The Empower Leadership Sports and Adventure Center features 2,500 feet of zip lines, with many different options to choose from, including moonlight zipline tours, which are available monthly. The center offers exciting and memorable outdoor adventures experiences for visitors of all levels of experience. The General Mansfield House serves as the headquarters for the Middlesex County Historical Society and is of the few remaining residential structures standing along Main Street of Middletown, Connecticut. The historic house was constructed by Catherine and Samuel Livingston Mather in the year 1817. Their daughter, Louisa, married Joseph Mansfield. Generations of the family lived in the house until it became the society’s headquarters in 1959. The garden in the front features a formal herb garden, along with a border of fragrant lilacs during the spring. Behind the General Mansfield House is the Rose Garden with several different varieties. The Van Vleck Observatory is owned and operated by the Wesleyan University in Middletown, constructed back in 1914. The astronomical observatory is named for John M. Van Vleck, a former head professor for the university’s Department of Mathematics and Astronomy. The Van Vleck Observatory contains three telescopes. The 16-inch telescope and the 20-inch telescope are used during the public observation nights each week, which are open to the general public. The third telescope housed inside of the Van Vleck Observatory is a 24-inch Perkins Telescope, used mostly for research purposes. The Perkins Telescope is one of the New England region’s largest telescopes. 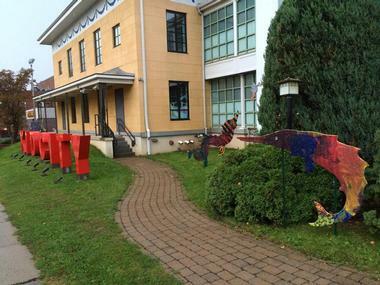 ARTFARM is a non-profit, independent organization that was established in 2001. 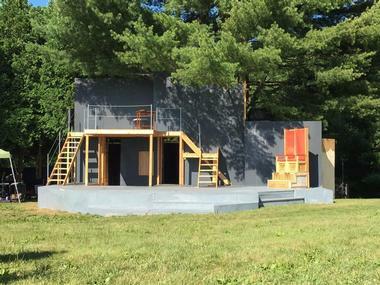 The arts organization is committed to producing high quality theater performances with a commitment as well to social action, environmental sustainability, and simple living. ARTFARM is focused on the ideas of open space and farm preservation, and the rising rate of developers consuming the precious lands in Connecticut is of great concern to the organization. As a result, ARTFARM is a small working organic farm, a theater, and a workshop and retreat center where artists, underserved youth, activists, and simply good people can come for inspiration and renewal. The Dart Island State Park, technically located in the town of Middletown, Connecticut, is a recreation area open to the general public. The state park is made up of approximately nineteen acres of undeveloped land on a sandbar island. Dart Island State Park is situated in the middle of the Connecticut River and can only be reached by boat. 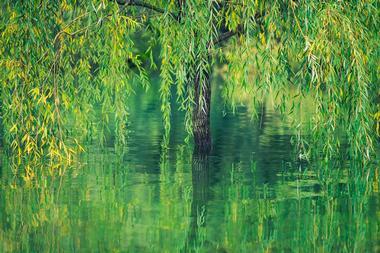 This sandbar island features a wooded area filled with what are described as “typical river trees,” such as red maple, poplar, and willow. Dart Island State Park has no public facilities, and is often used for fishing, boating, and bird watching. MONDO in Middletown, Connecticut is a family-owned and operated restaurant with a casual atmosphere that first opened in the community in September of 2010. Specializing in thin crust New York-style pizza that is baked in a brick oven, MONDO also serves a variety of pastas, paninis, and salads with dressing made in-house. The restaurant strives to offer something for all guests and features a constantly changing selection of wine and beer to compliment the food. MONDO is open 11:00am until 10:00pm Monday to Thursday, 11:00am until 11:00pm on Fridays and Saturdays, and 11:30am until 10:00pm on Sundays. The Taino Smokehouse is a small place with quite a bit of heart focusing on the craft of providing quality barbecue and hospitality. The little smokehouse uses just a few natural simple elements, fire, pepper, and salt to make their barbecue. Taino Smokehouse works hard to offer the purist barbecue anywhere within the Northeast. Hospitality is the main goal of the full-service restaurant, striving to make sure every guest feels like family when they come in. Taino Smokehouse waits until the fire in the pit begins to produce a hot blue smoke before putting the barbecue on the pit. The Luce Restaurant adds another great restaurant to the town of Middletown, specializing in cuisine inspired by Tuscany with an added flair of a modern American twist. The award-winning dishes served at Luce are made with only the highest quality of ingredients from throughout the world. Along with the main dining room, there is also an outdoor sidewalk cafe and a glass terrace open for dining throughout the year, offering a chance to dine beneath the stars. There is a mahogany bar offering more than eighteen beers available on tap and a rather extensive global wine list. O'Rourke's Diner aims to provide all of its guests with a truly one-of-a-kind experience in dining. The menu offered at the restaurant features a diverse array of options, including traditional American classics and dishes with a rather strong Irish influence. Specials for breakfast and lunch are offered every day, letting customers see the kitchen’s creative expertise. Private cooking classes are occasionally offered as well, with information available on the O'Rourke's Diner’ website. The O'Rourke's Diner is open from 7:00am until around 2:00pm, seven days a week. The restaurant was founded back in 1941 by John J. O'Rourke.